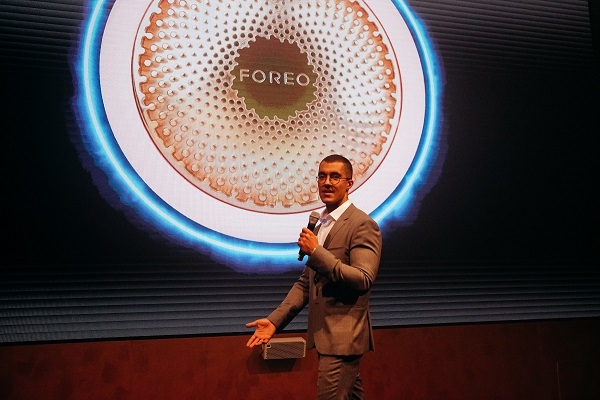 Swedish beauty giant Foreo celebrated the Middle East launch of its latest innovation, the UFO (Ur Future Obsession) at a dazzling event in Dubai. The event gathered the who’s-who of the region at the V Hotel Dubai on Sheikh Zayed Road and immersed them in a piece of intergalactic theatre, to usher in the future of beauty. It brings full circle the mysterious Area 51 style campaign and teaser build up that had come before, said a statement from the company. The guests were welcomed by other worldly hostesses who transported them into a hazy and slightly disorienting holding area where registration was conducted. A sudden black out and silencing of music pre-empted a dramatic opening of a doorway to an interstellar world, said the statement. The guests including celebrities and brand partners, who had been selected to witness the milestone occasion found themselves captivated by a dreamy alien landscape of beautiful neon creatures, exquisite refreshments and engaging entertainment, all set to the enchanting beats of the Middle East’s Favorite Female DJ, Sabrina Terence. With the room full and buzzing, attendees were once again plunged into darkness unexpectedly. They were then slowly brought back to light as the various treatment actions of the Foreo UFO were emulated through light and sound, building up to a theatrical operatic performance, purpose created to herald in the product. Ryan Saddik, the regional manager at MEA region, said: "The world's biggest trends converge in the Middle East, a region that also enjoys some of the highest per capita spending on beauty products and treatments. At the same time, customers here have their unique style and dictate their own trends rather than following those that are common elsewhere." "The years of research and development invested in the UFO have enabled us to deliver a unique product that amplifies the incredible benefits of regular masking, thanks to the innovation packed into its ultra-convenient, easy to use and highly portable little package. And we couldn’t be more thrilled to have celebrated its official Middle East arrival in such an aptly unique and memorable way," he noted.